PureDWTS Season 25 Cast Rumors Continue: Barbara Corcoran from Shark Tank Is Dancing! Barbara is one of the investors on ABC’s hit show Shark Tank, and has been with the show for all eight seasons. The businesswoman isn’t the first of ABC’s Sharks to compete on DWTS, as Robert Herjavec was part of the season 20 cast, and while he didn’t win the mirrorball trophy, he landed himself a wife in pro partner Kym Johnson. I feel like adding that Barbara’s actually the third Shark we’ve had on the show – Mark Cuban being the first, and Robert Herjavec being the second. I’ve always thought she was one tough cookie, and looks like she’s in fantastic shape – so she could have some staying power this season. PureDWTS Season 25 Cast Rumors: Did Bobby Brown Pull Out of DWTS? Bobby Brown had a change of heart. The singer was supposed to be a contestant on season 25 of Dancing With the Stars, but bowed out at the last minute, sources tell Us Weekly. Sounds like somebody may have been holding out for mo’ money. Given that we’ve already spoiled the partners for the five female pros already confirmed for this season, I can only assume that Bobby was probably going to be the “surprise” 13th couple announced on Sept. 6, with Cheryl as his partner. None of my sources had heard a peep about Cheryl’s partner – which makes sense, because it doesn’t sound like he was ever contractually locked down. So this begs the question: will we still get 13 couples this season? And will Cheryl still get a partner? I’m thinking yes, because the show almost always has backup celebs in their back pocket – a good example is season 13’s Carson Kressley, who filled in at the last minute after Ryan O’Neal backed out. And honestly, given that Bobby is known for having a bit of a volatile personality, I’m not sure I would have wanted to see him this season – I’d rather see Cheryl with someone a bit more stable and willing to work. Looks like Cheryl Burke is making her way back into the ballroom after all! A source tells ET that the 33-year-old dancer will return as a pro for season 25 of Dancing With the Stars. They go on to detail how her Love On The Floor tour got pushed back to 2018, and how returning to DWTS was a “no-brainer”. Given that she wasn’t announced as a pro on GMA today, it’s safe to say she is likely the 13th “surprise pro” that will be announced during the cast announcement on Sept. 6. For those holding out for a Sasha/Jenna/Allison surprise return – sorry, but maybe next year. Major League Baseball Player David Ross To Do Dancing With The Stars Season 24?? According to @PardonMyTake at twitter, Major League baseball player David Ross is going to be dancing on Dancing With The Stars Season 24. Not sure if it’s true, but we will soon see? Thanks to Vin for the heads up. I would like to personally announce to all my incredible fans that I have decided to take this season off of #DWTS. After the best 4 years of my life, I am ready to take some time for myself, get rejuvenated and prep for my next venture…?, this isn’t the last you are going to see of me…. Thank you ALL for continuing to love and support me through this journey!! I’m beyond grateful and love my #DWTS family… so to all the competitors this season…. I can’t wait to cheer you on in the Ballroom!! ?? Given that things on the pro front seem really, really strange this season, I don’t really know whether this was really her choice or is coming from someone higher up. She seems upbeat, though, so I wish her the best and hope she gets what she needs out of her break. US Weekly is reporting on the current rumors for Dancing With The Stars Season 24. 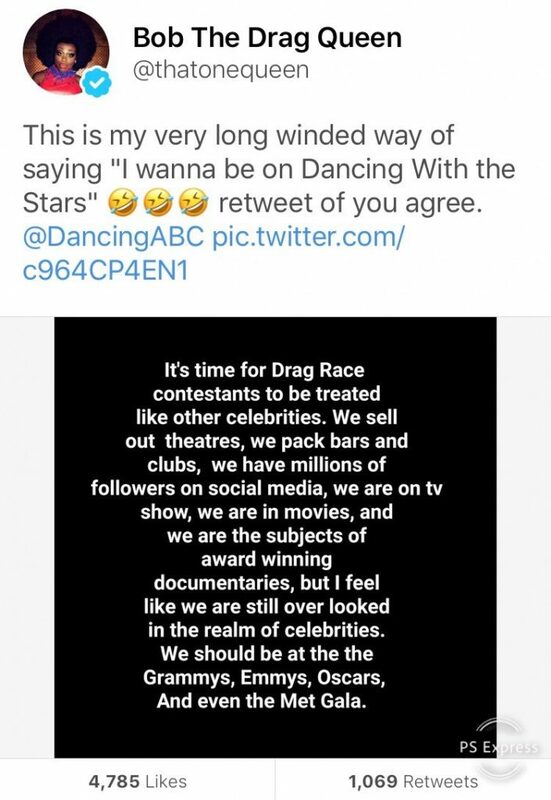 Among those we already know about, note how singer-actress Ashlee Simpson (Jessica’s sister) said “no” to dancing this season. Sad…I would have liked her to dance. Maybe she will do so in another season? Sources previously confirmed to Us that other cast members on the latest edition of ABC’s venerable competition series will include figure skater Nancy Kerrigan, The A-Team star Mr. T, gymnast Simone Biles and The Real Housewives of Beverly Hills’ Erika Girardi. Hillary Clinton, Michelle Obama and Ashlee Simpson politely declined offers to show off their fancy footwork. According to E Online, Rashad Jennings is dancing in the new season of Dancing With The Stars as well Yay. I always love football players on the show. Additionally, E! News has learned that NFL player Rashad Jennings has joined the cast as well. Currently a free agent, Jennings spent the last two seasons as a running back for the New York Giants. The next 48 hours leading up to the cast announcement are likely to be pretty hectic, so I thought I better get this posted sooner rather than later. Here’s the list of all the cast rumors we’ve heard/reported on for season 24 – as always, they’re divided into categories. Legitimate possibilities are rumors that we think have some validity, based on who is reporting them; long shots are rumors from a source that we don’t necessarily trust, but it’s possible they could be valid; pure randomness is general observations/weird stuff we’ve noticed that may or may not indicate anything, but is interesting nonetheless; wannabes/campaigners are celebs that have expressed interest in doing the show, but we have no reason to believe they’ve actually been asked to do the show; and the definite “no’s” are celebs that have specifically said they won’t do the show. DWTS Season 24 Watch Out: ‘Criminal Minds’ Shemar Moore Has A Secret! Could Shemar Moore be dancing in the new season of Dancing With The Stars? I don’t know…..but, ‘Criminal Minds’ and former ‘Young And The Restless’ soap star (when I use to watch this soap, I loved him!) has a huge secret right now. What an awesome get if he’s dancing. What do you think? Thanks to CH for the heads up. I hope you still have love for me after this video?!!!! I got nothing but love ALL my homies, fans, and BABY GIRLS!!! ???✌??? ?